The data in this database have been researched over a period exceeding thirty years by several individuals. Almost none of the data was obtained by simply importing it from someone else’s database. 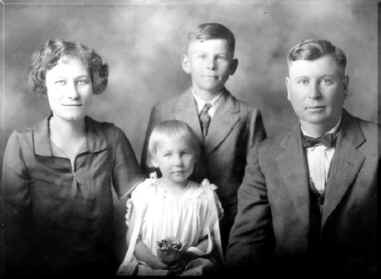 We began by focusing on our own direct line ancestors and their siblings, but over the years we added other family lines that connect with ours. This was done because we discovered that data from these peripheral family lines was frequently helpful in researching our own family. So if you discover that data for your ancestor is present and you are wondering why, this is frequently the explanation. Research tools have improved enormously over the last thirty years, and one of our current projects is to use modern tools to go back and “fill in the blanks” for people in the database including for those people who are not in our direct line. So whenever possible we are attempting to include birth, marriage, death and burial information and even photos when possible for people in the database. The objectives are to have a database that is useable by other genealogists, that memorializes the people in the database, and that has some chance of surviving after we are gone. Toward that end, we strive for accuracy, so please contact us us if you discover errors or if you have additional information about anyone in the database.